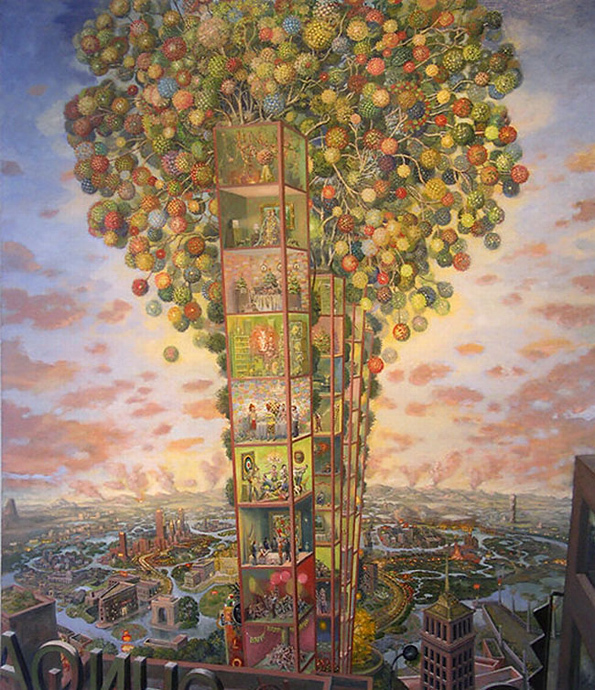 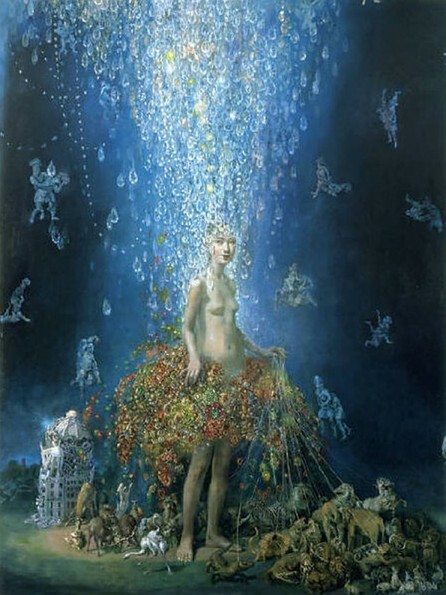 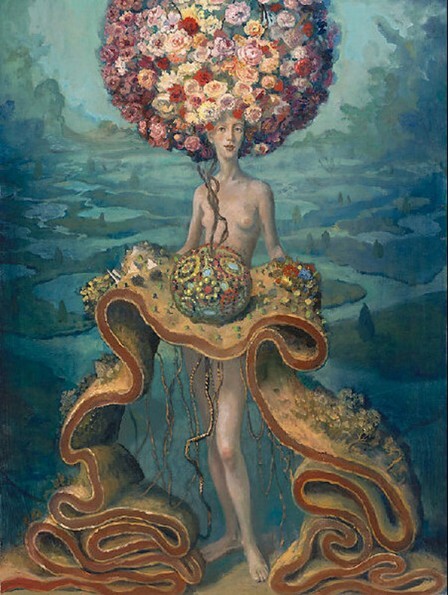 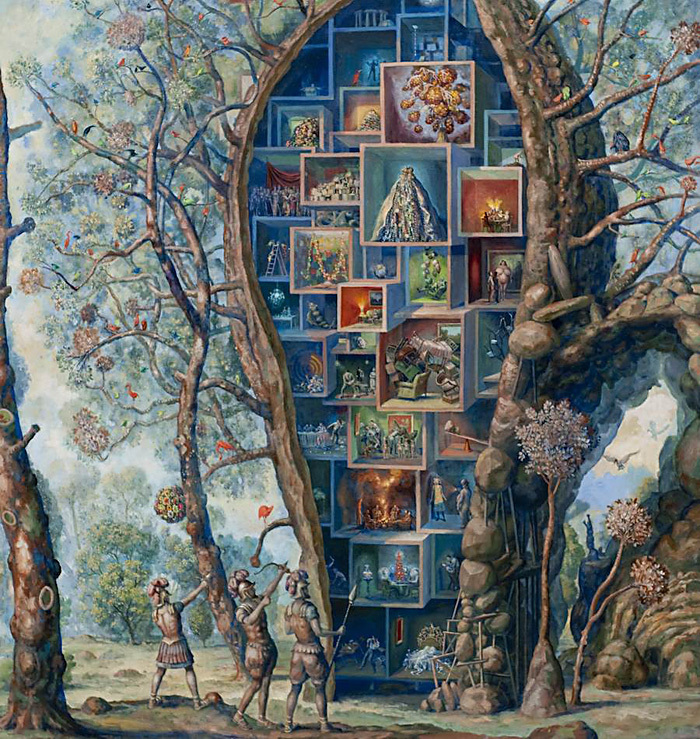 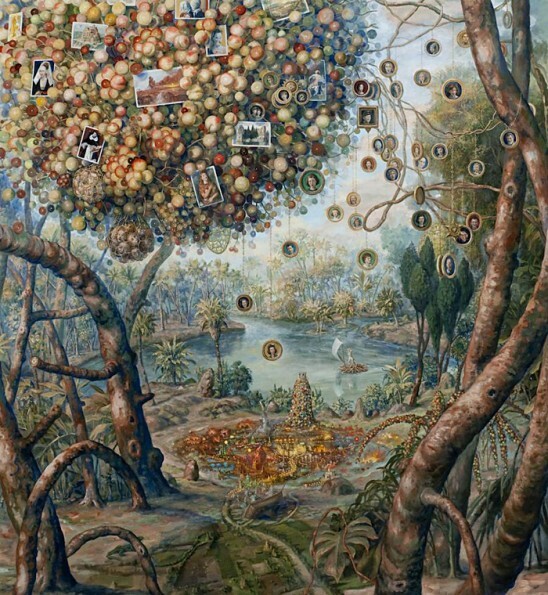 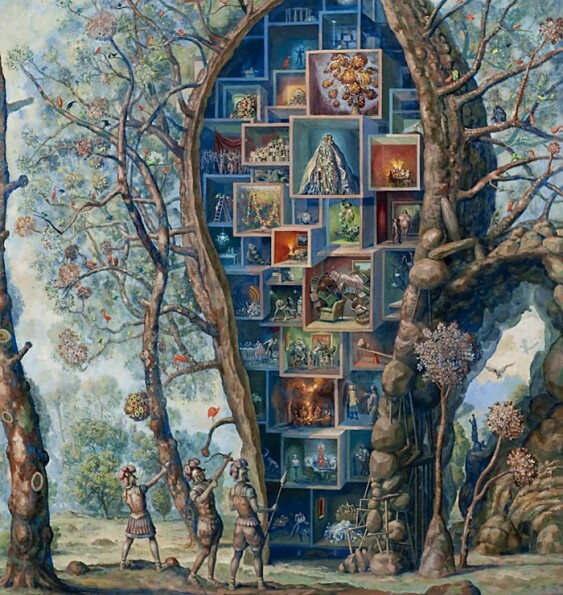 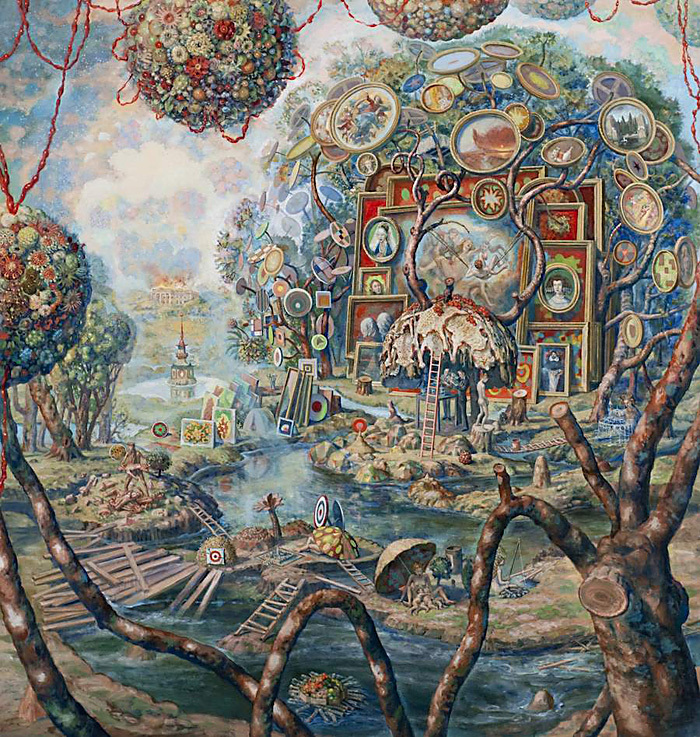 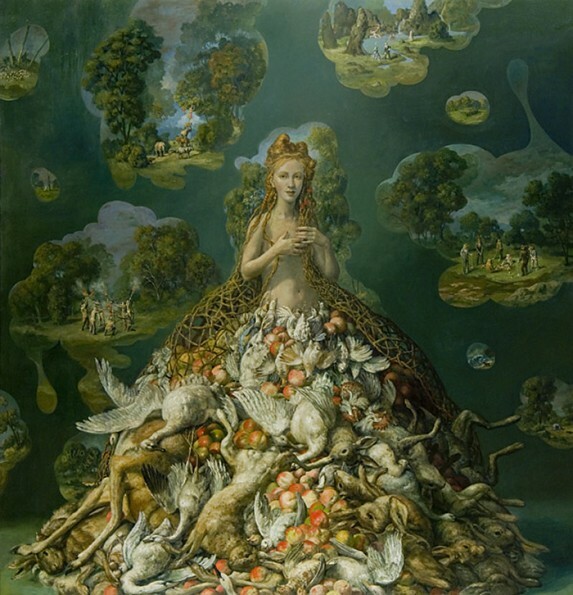 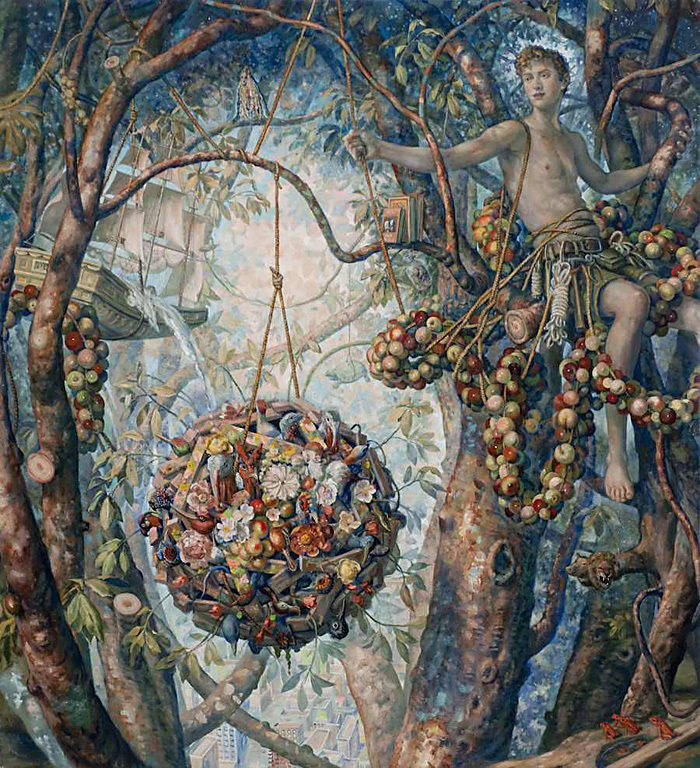 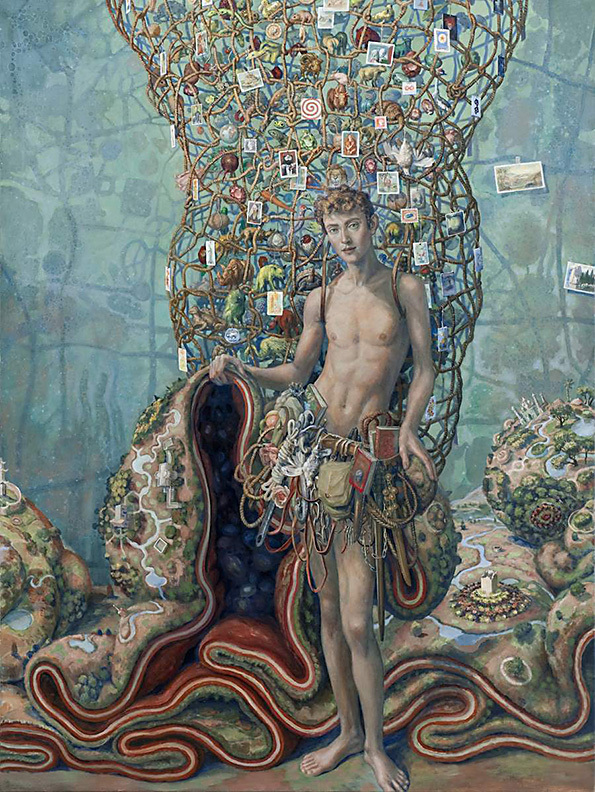 A Yale MFA graduate, Julie Heffernan creates the type of art that intimidates other artists. 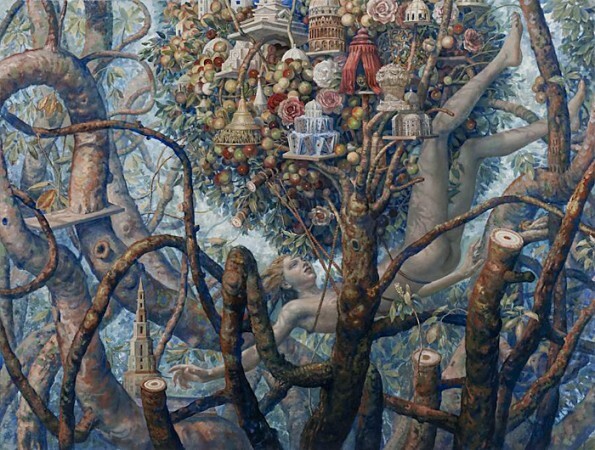 Her oil paintings are what we expect to find in Fine Art museums around the world. I was awestruck when I saw Constructions of Self on Escape Into Life and immediately wondered if other people felt as humbled as I did by her work. 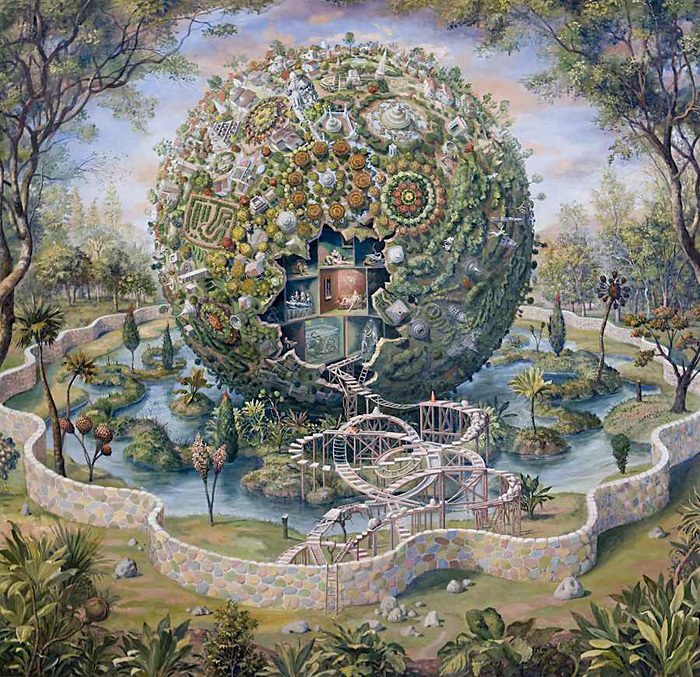 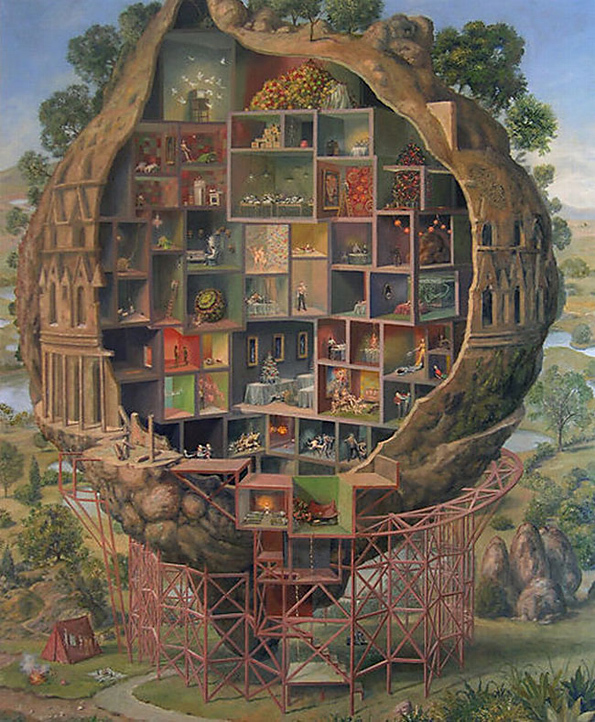 The extraordinary detail in Herffernan’s work reminds me a little of the work of Polish artist Jacek Yerka.